This is a breed that is also known as South African Mastiff. It is a Molosser-type breed from South Africa. It is a very large breed bred mainly for the purpose of guarding homestead. These dogs were bred as working farm dogs and are one of the most powerful breeds. The Boerboel dog breed originated from South Africa and they are breed with powerful watchdog instincts. Boerboels are strong dogs; however, they still have manageable personalities. Some physical characteristics of Boerboel include: Height – 60 to 70cm (24-28 inches) Color – Fawns, reds, browns, brindle, piebald, and Irish markings. Coat – The Boerboel coat is sleek and short with dense hair. Positives – The Boerboel dog breed interacts very well with kids and adults, especially well-trained Boerboels. of this beautiful breed has been a controversial topic. Almost every point in time during research, different opinions was provided. The word “Boerboel” is derived from the word “Boer”, the Dutch and African’s word for farmer. Boel, on the other hand, is an ancient Dutch/African slang for a dog. Boerboel, therefore, means “Boer’s dog” or “farmer’s dog.” Despite the fact that the Boerboel dog breed has been bred for long, the number of breeds and the particular breeds used to create this admirable and strong dog still remains uncertain. It is believed by many, that the breed was created as a result of interbreeding native African landrace (the Africanis) with breeds brought into South Africa by Dutch, British, and French settlers in the country. The most reliable origin dates back to Jan van Riebeek’s arrival to Cape Town in 1652. Jan van brought a “Bullenbeisser” with him. After these original settlers, the European also came with large and strong dogs. In the early 1860’s, when the military post was scattered across the South African frontier, bloodhounds, Greyhounds, bulldogs, mastiffs, pointers, terriers and sometimes, foxhounds were found at each post. The best Boer dogs were usually found in the military vicinity. Later in 1928, the diamond mining company De beers imported bullmastiffs to watch over the mines, this breed crossbred with Boerboel in the region. The Boerboel was first introduced mainly to purebred enthusiasts throughout the world, including the United States, by Dr. Carl Semencic – an American anthropologist. He introduced the breed in a dog magazine and later in his book which he titled, “Gladiator dogs”. It was first published by T.F.H publications in 1998 and was later republished in 2013. Carl stated that he became familiar with the breed because of his constant travels to South Africa. 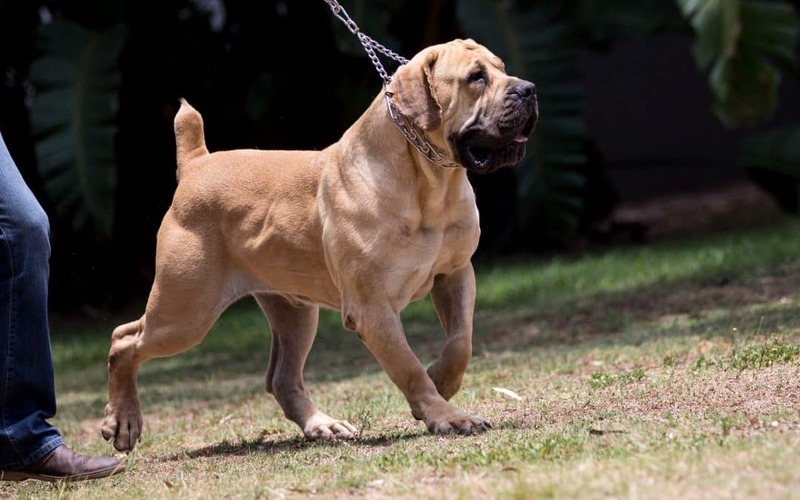 Later in 1983, the Boerboel breeders association was established in Senekal district of Free State with the sole objective of enabling and promoting the Boerboel as a unique breed. Conclusively, the Boerboel breed is now exported from South Africa to other parts of the world. 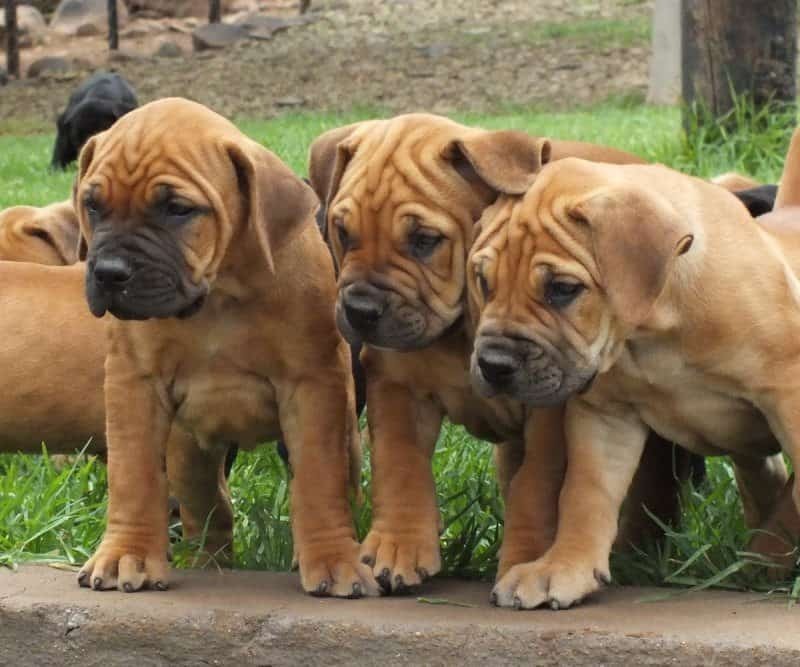 Boerboel breeding is now both a hobby and an industry in South Africa. The protection of this breed is still recognized and sought after, due to the calm, stable and confident composure of the breed.